A few weeks ago, I wanted to make a dish that would be one of my “Best”. 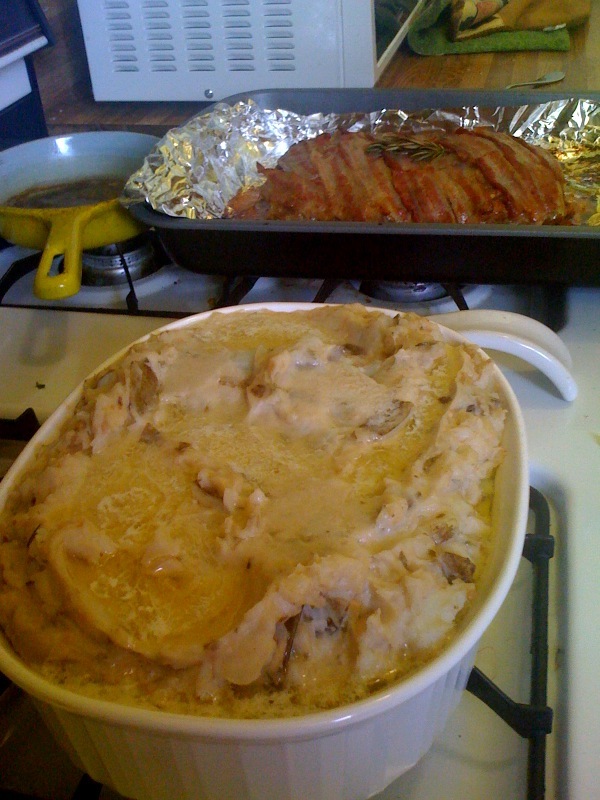 I asked several people what I should make and in the end, the Bacon Wrapped Meatloaf was a favorite. -Toasted Ciabatta bread croutons, tossed with olive oil and Italian herbs for additional flavor. You can do this on the stove top or on a cookie sheet in the oven. Combine everything, you have to knead it all together with your hands. Forming a meatloaf that fits the way you want to cook it. Thicker meatloaf’s will be juicer and thinner longer meatloaf’s will cook faster. 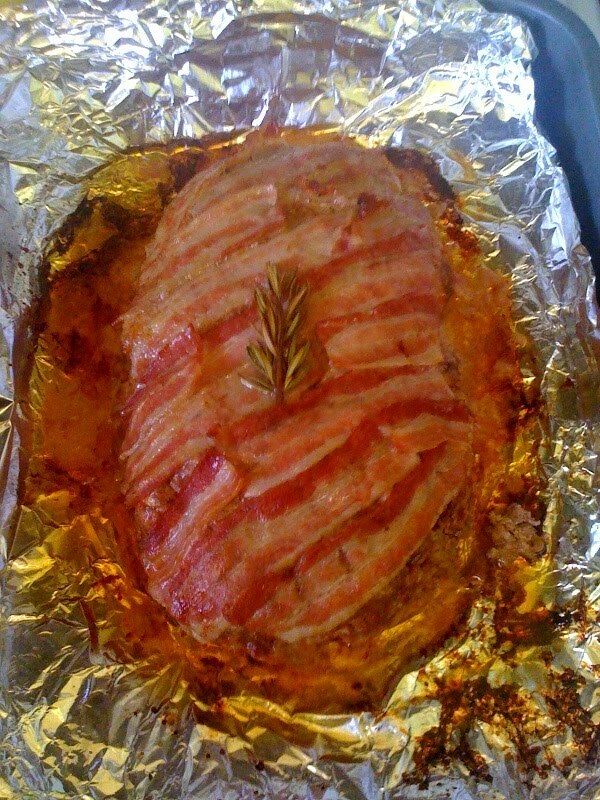 Cover in bacon. I like to tuck it in around the edges, wrapping one later over the entire meatloaf. Anything more than that will leave the bacon undercooked or cooked but not crispy. 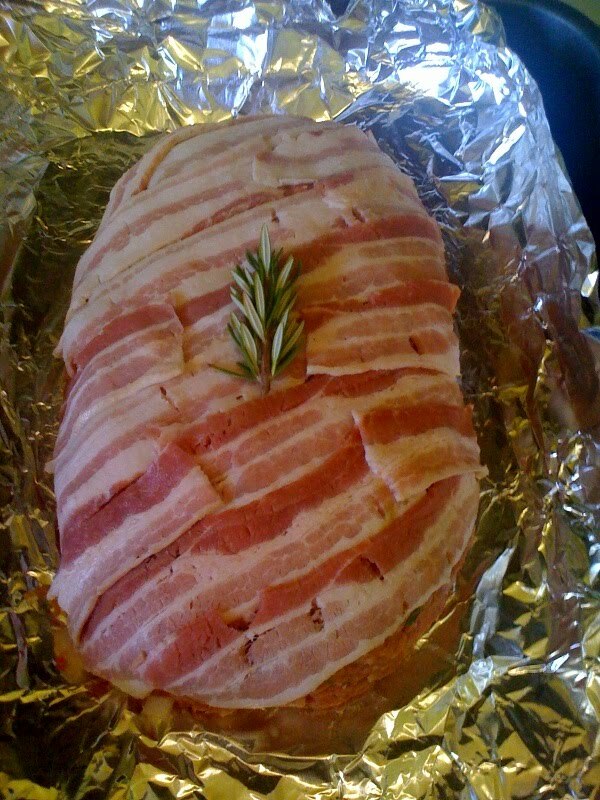 Bake in the oven for 45 minutes to 1 hour depending on the size of your meatloaf. I usually can tell that it’s done when the bacon is completely crispy. The whole thing is pretty oily in the pan, but you can transfer the meatloaf to a plate. I served the meatloaf with my mashed potatoes. I love creamy mashed potatoes. I try to use more milk and make them light, fluffy. These were a little heavier, but still very good. I made these garlic whipped potatoes with goat cheese. The chevre cheese gives it a unique flavor and tastes really good with the meatloaf. I added sauteed diced sweet onions for additional texture and flavor.